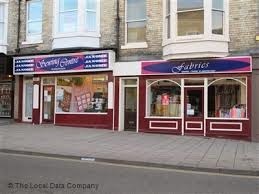 I'm really pleased to announce that Scarborough Sewing Centre have donated 10 meters of fabric for our Charity Quiltathon. Thank you so much Keith, Jackie and family, we really appreciate it. For anyone travelling to one of our retreats - make sure you add on an extra day and make the trip up to Scarborugh Sewing Centre on Aberdeen Walk - the same street as the Post Office, at the far end. You will not be sorry. Its an Aladdins cave for fabric and currently at just £5 per metre. Another lovely surprise today in the mail. Philip Anthony Photographers from Tickton, Beverley have kindly donated 5 x £75 vouchers for us to use as raffle prizes for our quiltathon. http://phillipanthonyphotography.co.uk/Welcome.html Thank you so much. Our press releases are slowly getting the word out. Thank you York Press. We have been really busy too over the last few days. Several quilt tops have been made and donated to our Quiltathon, so in an effort to get a good start, we have been quilting these on Rodney & Dell Boy (the Innova longarm). For this one I chose a pattern called 'Late Night'. It reminds me of atoms rather than stars, but I really like it. This is a cute panel which is backed by animal fleece. The pantograph I chose is called Animal Crackers. Labels: Animal Crackers, Gaiety, Innova, Late Night, Longarm, Philip Anthony Photographers, Quiltathon, Scarborough Sewing Centre, yorkpress.